INDIANAPOLIS, May 14, 2013 -- Global Water Technologies (OTC Pink: GWTR) is supporting innovation to improve water infrastructure during events this week in Washington DC. The company notes the Water Resources Development Act of 2013 includes language for a Water Infrastructure Finance and Innovation Authority (WIFIA) that would provide incentives for public-private funding of pilot projects across the nation to improve water efficiency and lower the lifetime project cost for local communities. The bill is currently being considered in the US Senate and bipartisan support for improving critical drinking water infrastructure is needed to encourage investment and innovation. 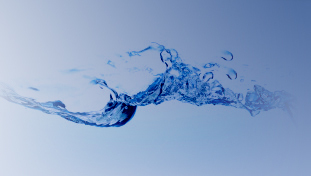 Following meetings on Capitol Hill, CEO Erik Hromadka is presenting at Water 2.0, a Water Innovations Alliance event on smart water infrastructure that will be held Wednesday, May 15.